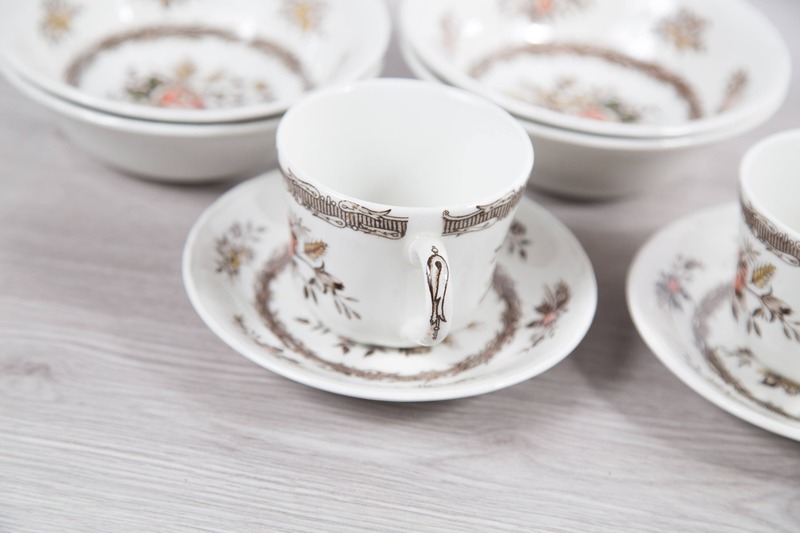 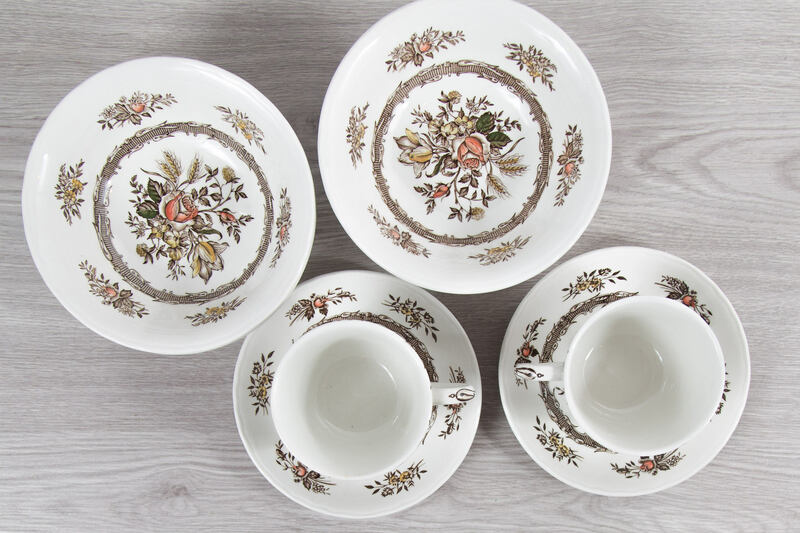 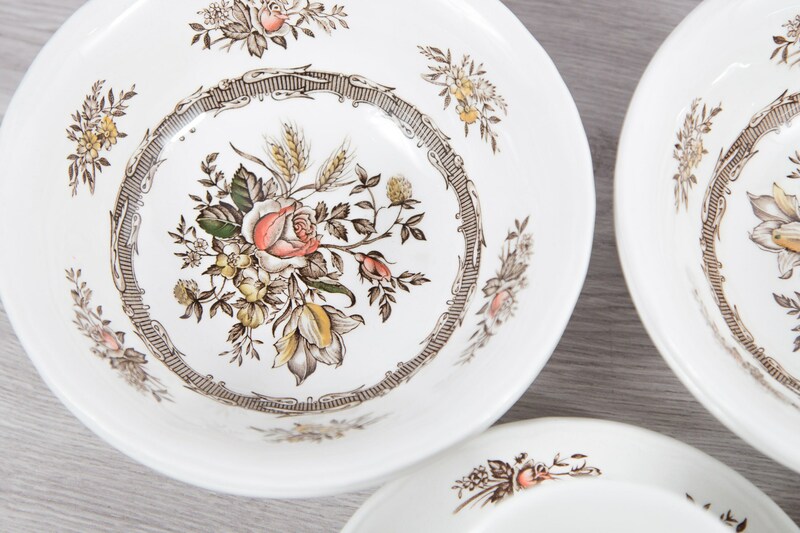 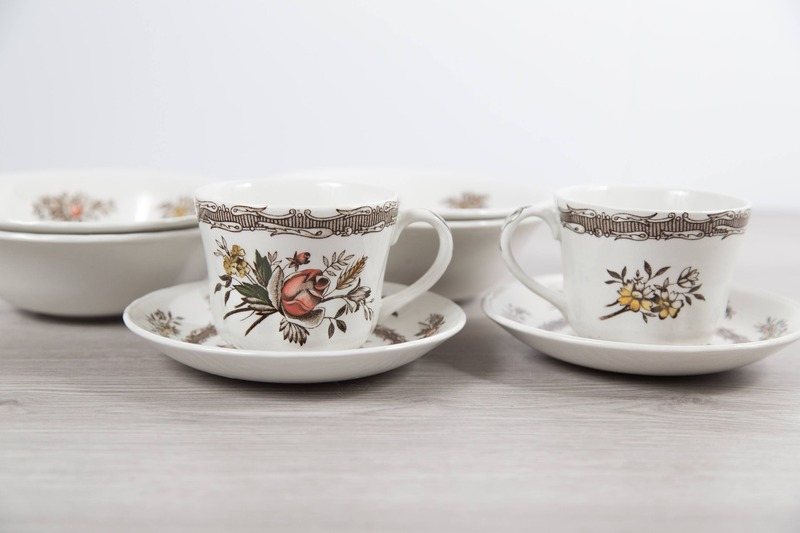 This is a fantastic 6-piece set of ornate pink flowers teacups and bowls. 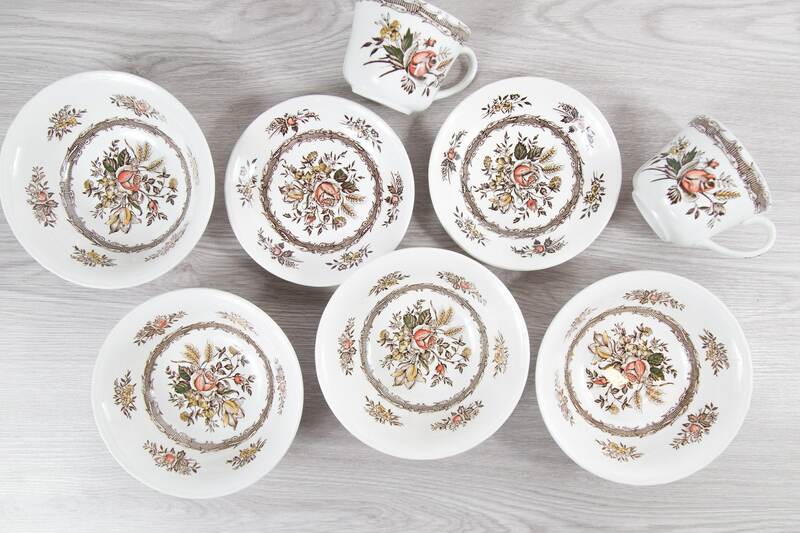 Includes: 4 bowls and 2 coffee / tea mugs and saucers. 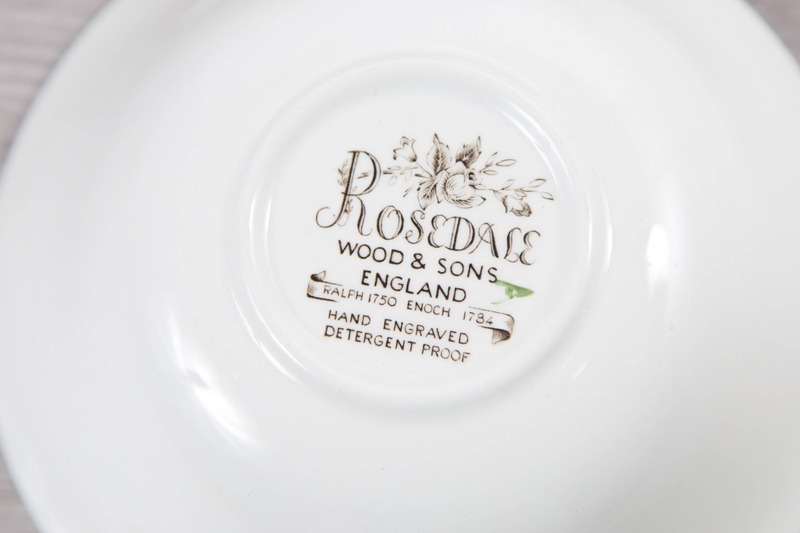 Marked "Rosedale Wood and Sons - Hand Engraved - Detergent Proof" on bottom. 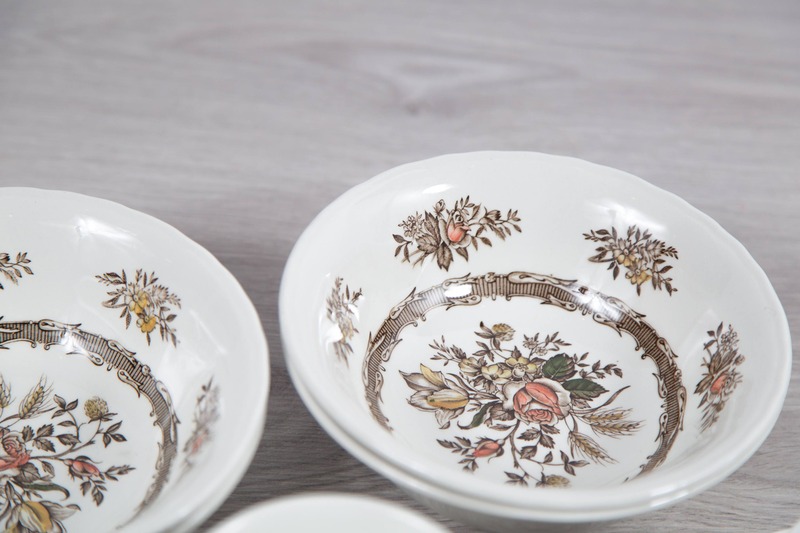 Bowls: 6.25 inches diameter, 2 inches height. 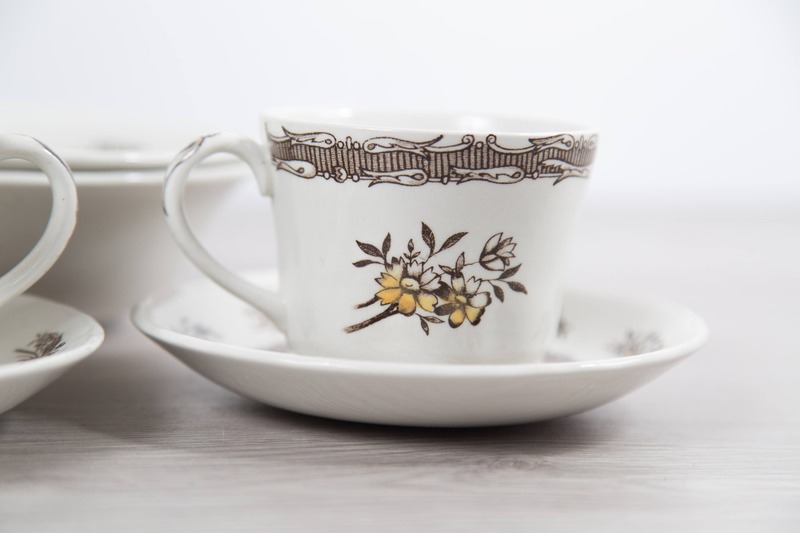 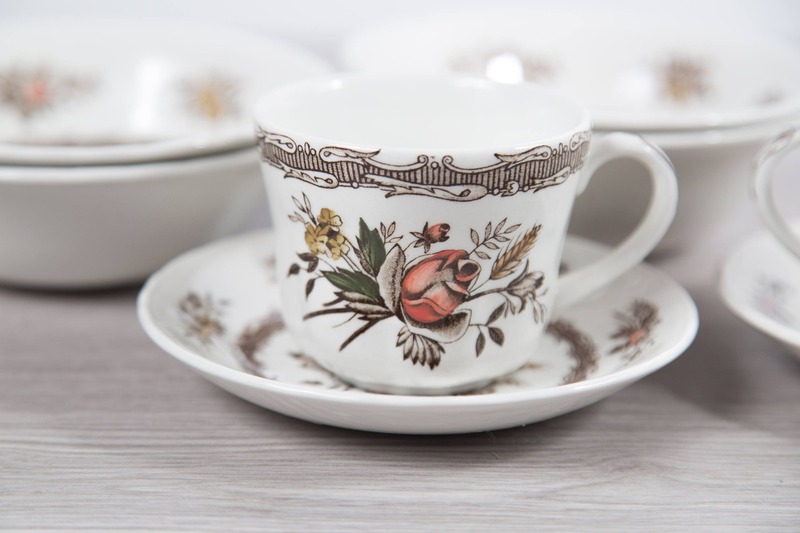 Teacups: 3.5 inches diameter, 2.75 inches height.